Great value in this oval transitional Ramsgate 3 pack group. Made of splayed legs for great stability. 8mm thick oval glass tops are tempered with polished edges. 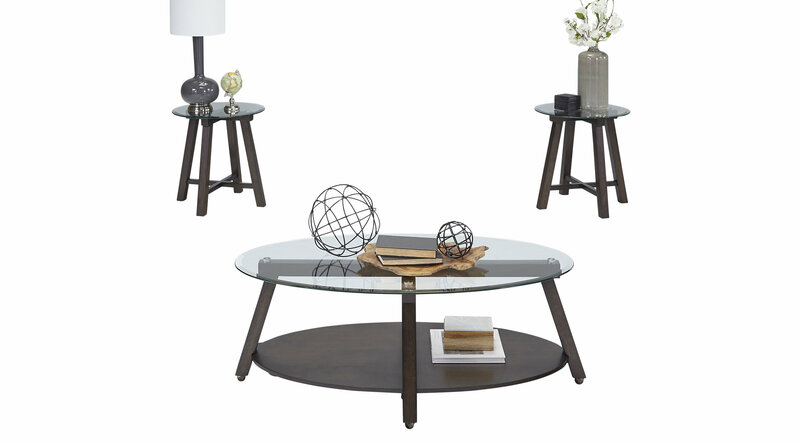 Full shaped oval shelf on cocktail table. 22" round end tables.